If the weather is good, you will immediately understand why the place is so unique. There are few mountains in Slovakia from which you can get such a panoramic view as from the Veľký Choč Mt. 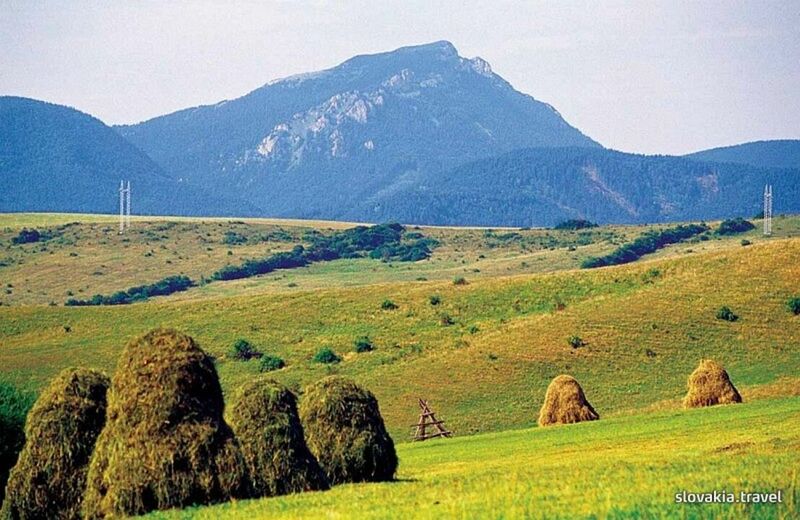 It comprises all surrounding mountain ranges of the Western Carpathians. The Babia hora Mt. and Pilsko Mt. are in the north, in the east you can admire the High Tatras and Roháče Mts., in the south-east it is the mountain range of the Nízke Tatry Mts. The Veľká Fatra Mts. stretch on the south-west and Malá Fatra Mts. are in the west. Bizarre rock faces enhance the beauty of the meadow complexes. Several hiking trails descend along both sides of the mountain and the hikers can choose whether they want to go to the region Liptov or region Orava.